As could be expected for such a classic, some of the songs have been covered many, many times, but there are others for which covers are somewhat harder to find. But fear not, because we’ve got it all, if you will pardon the expression, covered. Moondance opens with a gentle song recounting a real memory from Morrison’s childhood. On a trip to a fishing hole when he was twelve, Morrison and friends stopped at the home of an “old man with weather beaten skin” who gave them some water, reportedly from the stream. After drinking the water, Morrison had a somewhat mystical experience of time stopping. It also includes one of the surprisingly large number of references to jelly rolls in Morrison’s lyrics. Widespread Panic, a hard touring jam band from Athens, Georgia, contributed this cover to a benefit album for NORML, called Hempilation, apparently focusing more on the title than the actual lyrics, which are unrelated to hemp or any of its derivatives. They replace the horns with organ, and, of course, add some jamming. While the cover is good, there is a slickness to it that somehow diminishes the wistful nostalgia of the original. Is the title track of one of the great rock albums of all time a jazz song? It certainly seems so, although critics are split. But who really cares, because it is simply a great song. Morrison has performed the song live more than any other, and it is, as one reviewer has noted, “one of those rare songs that manages to implant itself on the collective consciousness of popular music, passing into the hallowed territory of a standard, a classic.” Greg Brown, an often covered songwriter in his own right, released a live album in 1995 called, The Live One, recorded in Traverse City, Michigan the prior year. In addition to a selection of his originals, Brown demonstrated significant chutzpah by tackling two pretty serious covers—Richard Thompson’s beloved “1952 Vincent Black Lightning” and “Moondance.” His version of the song is still jazzy, but stripped down to only guitar and what sounds like congas, puts more emphasis on Brown’s distinctive voice and jazz-hipster style delivery. I’m not sure he needed the long middle section with original lyrics, but it is, nevertheless, a compelling cover. The most overtly romantic song on the album, “Crazy Love” is an intimate profession of love, sung in a near-falsetto. As a result, the original and cover versions have been used in the soundtrack of a number of romantic comedies, and it has been covered many times, including in Finnish, Czech and Croatian. And now, a commercial for Paul Carrack: Carrack, referred to by the BBC as “The Man With the Golden Voice” in fact has one of the great blue-eyed soul voices ever. Better known as the singer of Ace’s “How Long,” Squeeze’s “Tempted,” and Mike & The Mechanics’ “Silent Running” and “The Living Years” or as a backup musician for Roxy Music, Roger Waters, Nick Lowe and others than for his solo work, Carrack seems to be one of those people for whom critical acclaim hasn’t translated into stardom. 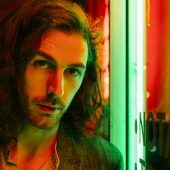 His cover of “Crazy Love,” while a bit more produced than the original, highlights Carrack’s great voice and phrasing. We’ve previously highlighted the well-known cover of “Caravan,” by Counting Crows, so let’s, instead, look at a more obscure one—by a Philadelphia based band called Blue Method. Their live version of the song, recorded in 2008 at World Café Live in their hometown, is soulful, powerful and altogether excellent, as befits a band that has won a number of “best live band” awards. It appears to be based, in general, on live versions of the song recorded by Morrison (this one was chosen by writer Nick Hornby as the song to be played at his funeral), including a long instrumental middle section and a big finish. 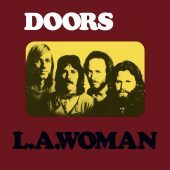 The studio version, on Moondance, is a reverie about Gypsy life and the power of radio (which, like jelly rolls, is a motif that often recurs in Morrison’s lyrics, although one that is somewhat more explicable coming from a musician), and is also soulful, but not quite as dramatic as the live performances. The temporal and emotional heart of Moondance, “Into The Mystic” is a gentle, yearning tune about a spiritual quest. Originally entitled “Into The Misty,” which also works, Morrison changed the title after recognizing the mystical, ethereal feel of the song. In fact, according to Morrison, many of the lyrics themselves are filled with double meanings—for example, the first line could be interpreted as “We were born before the wind” as well as “We were borne before the wind.” Any way you slice it, though, it is another wonderful song, and, according to a 1999 BBC survey, it was one of the top songs chosen by surgeons to listen to while performing procedures. (Anesthesiologists, apparently have more of a sense of humor, and chose the Police’s “Every Breath You Take”). It is another song that is used in a variety of movie and TV soundtracks, and it is also widely covered. Rather than again discuss versions of the song by Glen Hansard and Markéta Irglová, let’s instead check out a live version by Jason Isbell & the 400 Unit. Isbell, one of the greatest songwriters currently plying his trade, has recorded a few covers, mostly on tribute albums or special releases. But when he performs live, he will sometimes play a well-chosen one or two. This version of “Into the Mystic,” recorded live in Austin in 2007, captures the spirit of the original, with a bit of Alabama twang. The first song on side 2 of Moondance, “Come Running” is, maybe, the most lightweight tune on the album. 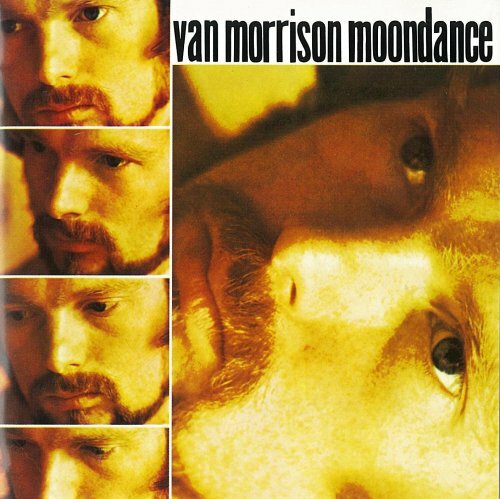 Originally demoed for Astral Weeks, it was re-recorded for Moondance, and its short length, simplicity and catchiness probably contributed to it being released as the first single from the album (peaking at 39 on the Billboard Top 100). The cover, by guitar virtuoso Mike Mizwinski, who sometimes performs solo or with a band as MiZ, comes from a live performance in 2013 at the River Street Jazz Café in Plains, Pennsylvania. Mizwinski performed Moondance, solo acoustic, in its entirety as the first set, before performing a second set of originals and covers, mostly with a band. Mizwinski, who hails from Northeastern Pennsylvania, but now lives in Northern New Jersey, has opened for, among others, the aforementioned Jason Isbell, The Derek Trucks Band, The Wallflowers and Leon Russell, and has sat in with a number of top jam bands, as well as with America, which, apparently, is still a going concern. If I had a dream in which Ray Charles was the subject of an assassination attempt, I’d probably consider seeking some professional help. 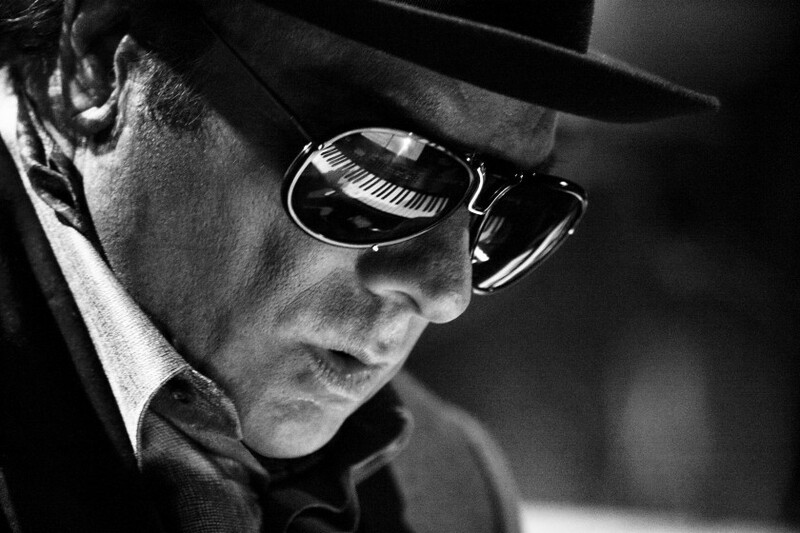 When Van Morrison had such a dream, he wrote “These Dreams of You.” Charles was an idol and influence on Morrison, and they performed and recorded together a few times. The rest of the song’s lyrics are similarly dream-like and obscure, while the music is, strangely, bouncy and cheerful, with some nice jazzy sax. əkoostic hookah, a Columbus, Ohio based jam band that insists on both the use of a schwa and lower case letters, has been touring and recording since 1991. This version of “These Dreams of You” which is reasonably faithful to the original, if a little faster and jammier, was recorded at a show in 2005 at the Frontier Ranch, a music and camping venue in Pataskala, Ohio, about 20 miles from Columbus, as part of the band’s annual Hookahville Festival (now just called “The Ville”). It is, according to the performance notes, the first time the band played the song, but it sounds pretty well-rehearsed. Morrison’s father George reportedly had one of the largest record collections in Ulster, much of which was amassed while George worked in Detroit in the early 1950s. This collection provided the young Van with access to a wide variety of music, from big band jazz to country, to gospel, folk and blues. It is certainly possible that he heard Esther Phillips (or “Little Esther Phillips,” as she was billed as a young singer). A blues and R&B singer (before she inevitably tried disco in the 1970s), she had a few hits early and late in her career (and actually appeared as the musical guest on the fourth ever episode of what was then called NBC’s Saturday Night. “Brand New Day” is, as the title indicates, a positive, hopeful song, which Morrison wrote after hearing either “The Weight” or “I Shall Be Released” by The Band on the radio (he doesn’t remember). Morrison layers on the sound in the original, as does Phillips’ in her cover, who gives it a full on gospel soul treatment, with the singer belting away in her somewhat nasal, but powerful voice. Interestingly, if you Google “Esther Phillips Van Morrison” you will find that there are a number of producers and musicians who have worked with both artists, although it doesn’t seem that they ever worked together before Phillips succumbed at age 48 to her long-time heroin addiction. If you have listened to rock music during the last half century, you know Merry Clayton, even if you don’t know her name. One of the premier backup singers (and star of the incredible documentary 20 Feet From Stardom), Clayton is best known for her duet with Mick Jagger in the Rolling Stones’ classic, “Gimme Shelter,” but she has also sung with Ray Charles, on Lynyrd Skynyrd’s “Sweet Home Alabama” (reluctantly) and for pretty much everyone else. Recently, she contributed vocals on a song with G. Love and Special Sauce. Unfortunately, for reasons somewhat mysterious, her solo efforts – which are, for the most part, incredible covers – never moved her the 20 feet forward into the spotlight. Although the original is another peppy, bouncy tune, its lyrics appear to relate to Morrison’s difficulties with the music industry, feelings which Clayton likely understood. Clayton, who was born on Christmas (leading to her name), in Louisiana, gets to sing a lyric mentioning her birthday, and changes Morrison’s reference from New York to New Orleans. Her version, recorded live, is unsurprisingly, a blast of soul. Clayton was recently seriously injured in an accident, and all music fans have to hope she makes a full recovery. It’s always a marvelous night (or day) for a Moondance. Purchase the album on Amazon and iTunes. Wonderful eclectic share, great work. The Carrack link has been remedied; thanks for the heads-up, Bill.